The collection, circa early 2015. Are you going to post spoilers? Yes. We’ll try to avoid them in some instances, but as a large percentage of our movies are well over five years old, we assume most people will have watched them already or will already know the ending. Our advice is to avoid the reviews of any movies you care about being spoiled on, just in case we do post important plot details. What’s with the alphabetizing? Doesn’t something like 300 come before The Abyss? Ben has always spelled out number titles (300 = Three Hundred); Sally has always placed numbers numerically before letters. Apparently both can be correct. Since the bulk of the movie collection was supplied by Ben, and he is effectively the “librarian,” we’ll be going with his preferred order. Plus, the blog title “From The Abyss to Zoolander” just has a nice A-to-Z ring to it. We’ve also decided to occasionally watch some movies out of shelf order to coincide with the theatrical release of sequels. We’re also saving Halloween and Christmas films for their appropriate season because it makes sense and we want to enjoy the holiday seasons watching movies we would normally enjoy at those times of the year. Also, it just makes sense to watch all the movies in a series or franchise back to back, such as James Bond (in these cases you may find the title tagged under multiple letters). 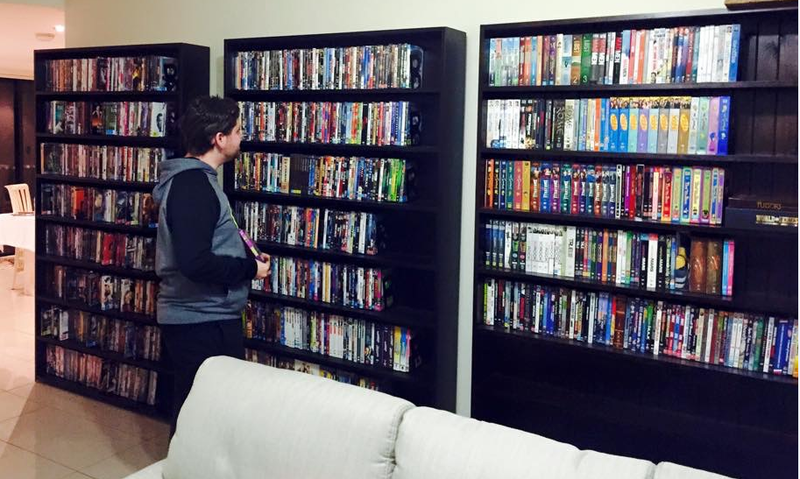 Are you adding movies to the collection as you go, or only watching what you own now? We are continuing to expand our collection as we go. If we purchase a movie whose title we’ve already passed alphabetically, we’ll watch it right away. Otherwise, it will be filed accordingly and watched in normal order. Additionally, Sally owns a few dozen DVDs that need to be shipped over, so we expect a sizable addition sometime in 2014 when they arrive. To make it easier to find titles, all entries are tagged by their beginning letter or number, or you can try searching by movie title or actor name in the sidebar or at the bottom of the page. Update: Sally recently went through the archives and tagged all posts by movie genre(s), so you can now search by that as well. Do you discuss or read each other’s reviews before posting? You seem to talk about the same things a lot. We don’t discuss the movies during or after viewing, and we definitely don’t read each other’s reviews before posting. Any similarities between reviews is purely coincidental. We just have similar personalities, tastes, and senses of humor, which sometimes leads us to like, dislike, or point out the same things. It’s kind of funny, and a little weird at the same time.